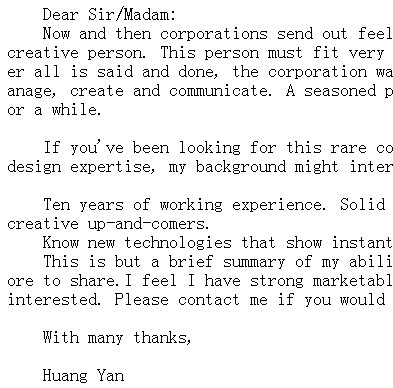 Now and then corporations send out feelers for just the right type of creative person. This person must fit very specific criteria. Usually, after all is said and done, the corporation wants a business person who can manage, create and communicate. A seasoned professional who's been around for a while.